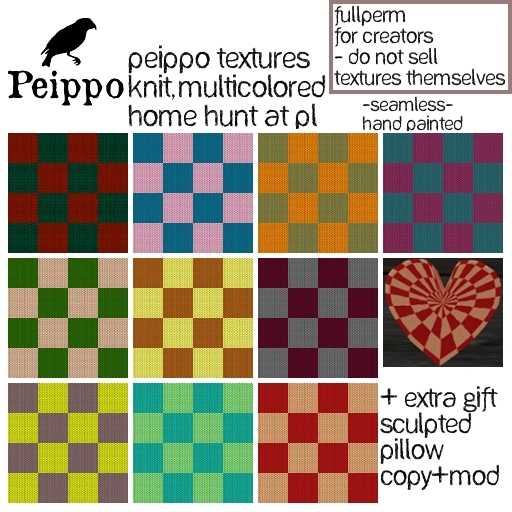 Handpainted, seamless, Fullperm, Multicolored, knit textures, by Peippo. "At home" sim hunt at Paradise Landing (USC Textures Tomb, Texture sim). We are number 5! Look for the 20 gifts hidden close to the hunt signs. Prizes include textures, sculpt maps and other building materials. Yay! Relay for life, it's time for a cure! 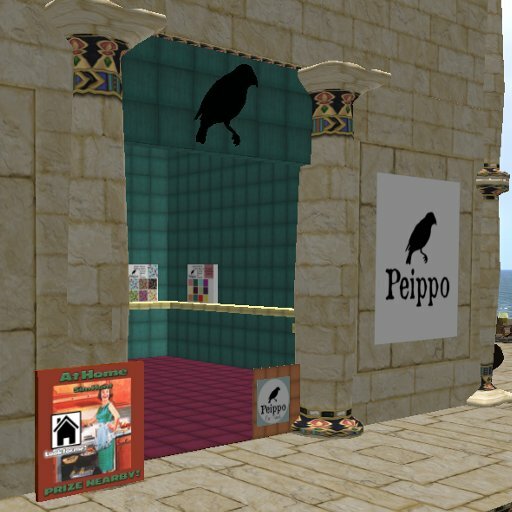 New location for Peippo Mainstore!